Utilising over 20 years of experience our laser cutting facility has the technical knowledge and capability to work with a wide range of metals, of which the most frequently used are mild steel, stainless steel and aluminium. We can cut high volume work as well as prototypes and one-offs, perforated sheet and durbar. From being laser cut, parts can then be machined and fabricated on site to suit your requirements. We carry a wide range of mild steel, stainless steel and aluminium. 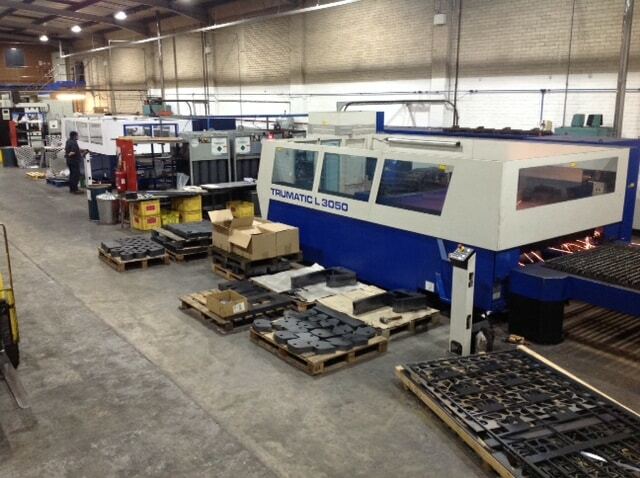 This means that the majority of laser cutting requirements can be catered for without waiting for steel deliveries. If the material is of an unusual specification then we will endeavor to obtain it as soon as possible. With effect from 6 November 2018, following an extensive auditing process, we have been awarded a Factory Production Control (FPR) certificate ensuring we conform to the BS EN 1090-1:2009/A1:2011 standard for the laser cutting of load bearing steel components up to EXC 4. For us to provide laser cut parts that meet BS EN 1090-1, the customer must specify the need for the job to be CE compliant at enquiry stage. This enables us to ensure that we source material from a CE approved steel mill, carry out the correct processes and include the relevant test certificates that ensure the part is compliant for use within projects which require CE Marking. By being awarded a Factory Production Control certificate, you can be assured that Alfreton Fabrications Ltd will assist with all your CE compliant laser cutting up to EXC 4 and that our laser cut parts conform to all mandatory EU legislation and the Construction Products Regulation (CPR). 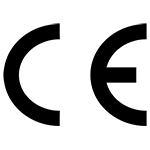 As of 1st July 2014, CE Marking became mandatory for all traders of fabricated structural steelwork and related products on the European market. As a sub-contractor with customers working within the construction industry, we understood the requirement to provide products and services that fulfil the legal obligations outlined by the CPR.